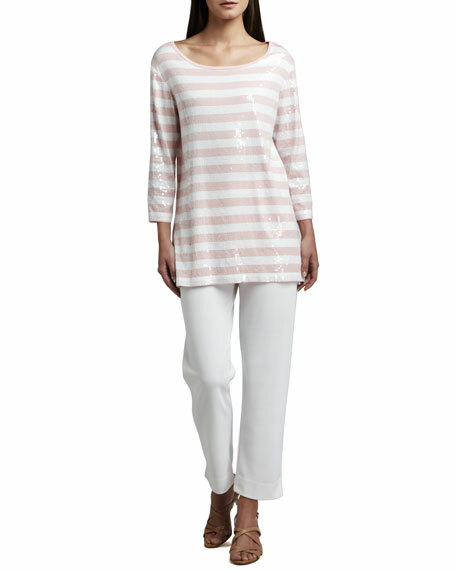 Sequins add sparkle and style to this Joan Vass knit tunic. 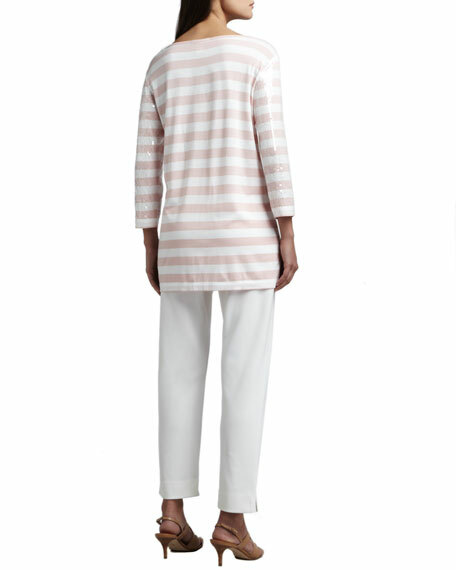 Joan Vass pants in ponte. Approx. measurements: 10" rise; 20" inseam. 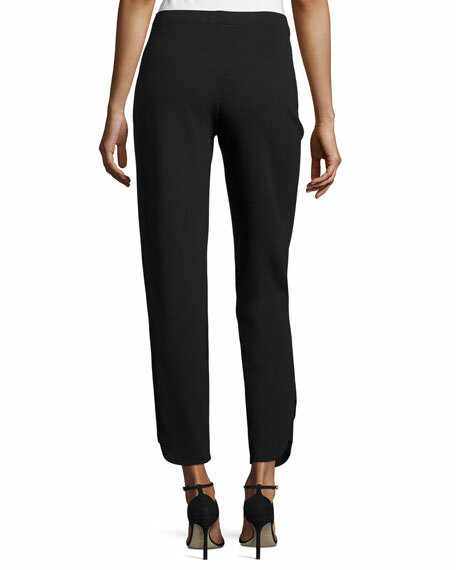 Cropped at ankle with cutaway detail.